Jeremy Clarkson has been dropped from Top Gear, as the result of the fracas, and subsequent investigation of the altercation with BBC Top Gear producer Oisin Tymon. 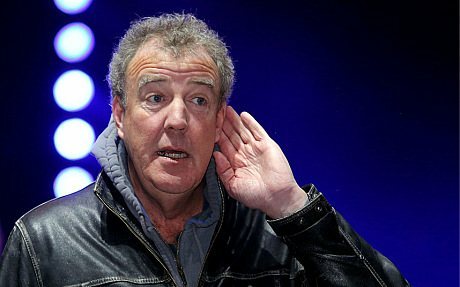 The investigation by Ken MacQuarrie, a BBC director, found that the attack was unprovoked and reported by Clarkson himself. Read the report below. I was asked to undertake an investigation to establish the facts of what occurred. In conducting my investigation, in line with the BBC’s usual practice, I interviewed a number of witnesses and others connected with the incident. Accounts were agreed, based on my interviews, with each participant. Having conducted these interviews and considered the evidence presented, I conclude the following: on 4 March 2015 Oisin Tymon was subject to an unprovoked physical and verbal attack by Jeremy Clarkson. During the physical attack Oisin Tymon was struck, resulting in swelling and bleeding to his lip. The verbal abuse was sustained over a longer period, both at the time of the physical attack and subsequently. it is the case that Jeremy Clarkson reported the incident to BBC management. Just been confirmed by the BBC that he is dropped. Yep. Contract will not be renewed. Has he been sacked? Or is his contract not being renewed? Because he's still in contract is he not? BBC Director-General's statement regarding Jeremy Clarkson Date: 25.03.2015 Last updated: 25.03.2015 at 14.00 Tony Hall, the BBC Director-General, has today released the following statement regarding Jeremy Clarkson. It is with great regret that I have told Jeremy Clarkson today that the BBC will not be renewing his contract. It is not a decision I have taken lightly. I have done so only after a very careful consideration of the facts and after personally meeting both Jeremy and Oisin Tymon. I am grateful to Ken MacQuarrie for the thorough way he has conducted an investigation of the incident on 4th March. Given the obvious and very genuine public interest in this I am publishing the findings of his report. I take no pleasure in doing so. I am only making them public so people can better understand the background. I know how popular the programme is and I also know that this decision will divide opinion. The main facts are not disputed by those involved. I want to make three points. First – The BBC is a broad church. Our strength in many ways lies in that diversity. We need distinctive and different voices but they cannot come at any price. Common to all at the BBC have to be standards of decency and respect. I cannot condone what has happened on this occasion. A member of staff – who is a completely innocent party – took himself to Accident and Emergency after a physical altercation accompanied by sustained and prolonged verbal abuse of an extreme nature. For me a line has been crossed. There cannot be one rule for one and one rule for another dictated by either rank, or public relations and commercial considerations. Second – This has obviously been difficult for everyone involved but in particular for Oisin. I want to make clear that no blame attaches to him for this incident. He has behaved with huge integrity throughout. As a senior producer at the BBC he will continue to have an important role within the organisation in the future. Third – Obviously none of us wanted to find ourselves in this position. This decision should in no way detract from the extraordinary contribution that Jeremy Clarkson has made to the BBC. I have always personally been a great fan of his work and Top Gear. Jeremy is a huge talent. He may be leaving the BBC but I am sure he will continue to entertain, challenge and amuse audiences for many years to come. The BBC must now look to renew Top Gear for 2016. This will be a big challenge and there is no point in pretending otherwise. I have asked Kim Shillinglaw to look at how best we might take this forward over the coming months. I have also asked her to look at how we put out the last programmes in the current series. Can't argue with the man being sacked for punching a colleague. Can't help but see the contradiction in that press release, given all the covering up of sexual assault.